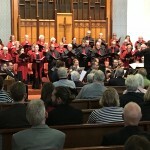 This had to be just about the Geelong Chorale’s perfect concert. 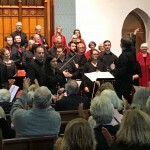 Its content, two significant works by George Frederic Handel, written 20 years apart and for very different occasions, was executed just about flawlessly. 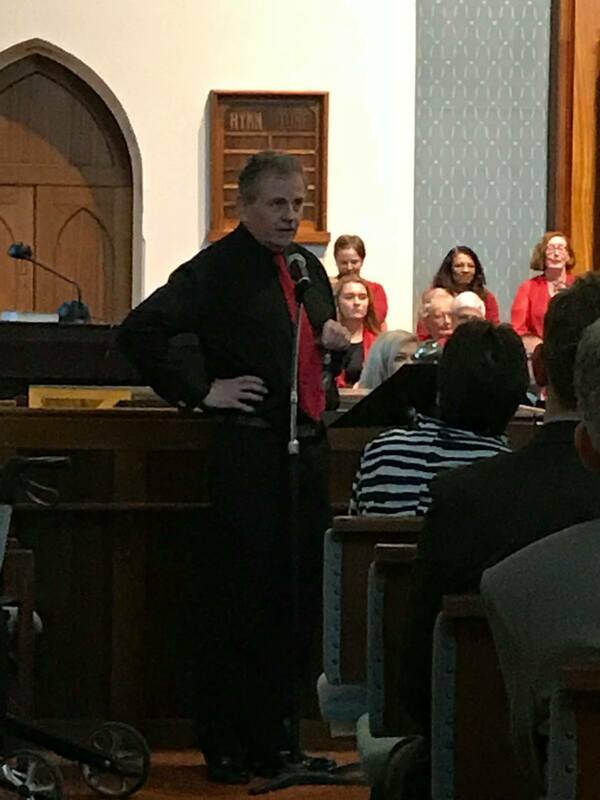 Their guest soloists were impressive, their scratch orchestra of a high quality and the overall reception couldn’t have been better. 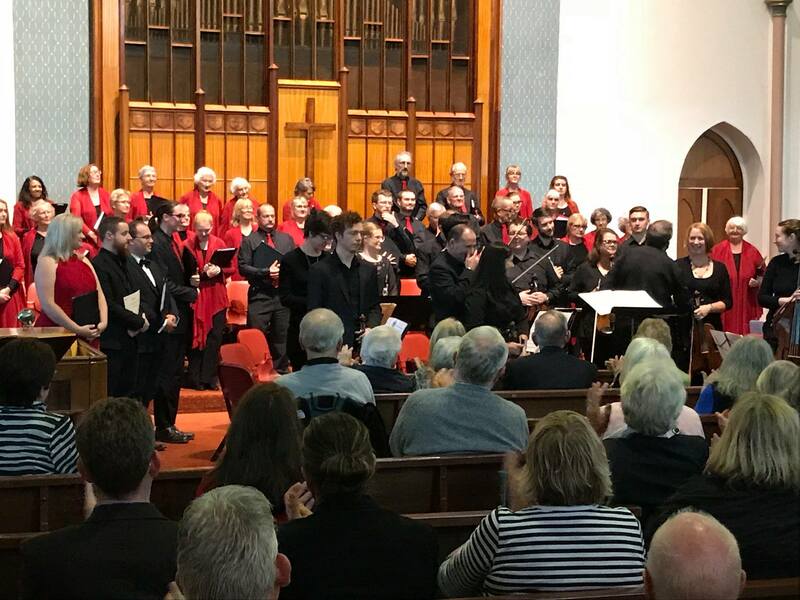 This concert twice drew long, wholehearted applause from its appreciative audience that continued through several bows from choristers, soloists and orchestra until conductor/director Allister Cox finally gestured to end them with calming waves of his hand. He had chosen to reverse the listed order by putting the most difficult piece first. This was Dixit Dominus, written in 1707 when Handel was in his early 20s and commissioned to create a musical version of the words of God. 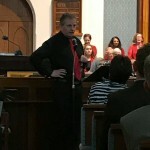 A feature of concerts led by Allister Cox are his illuminating and interesting introductions and this was no exception. He neatly put the work into its time, place and perspective. 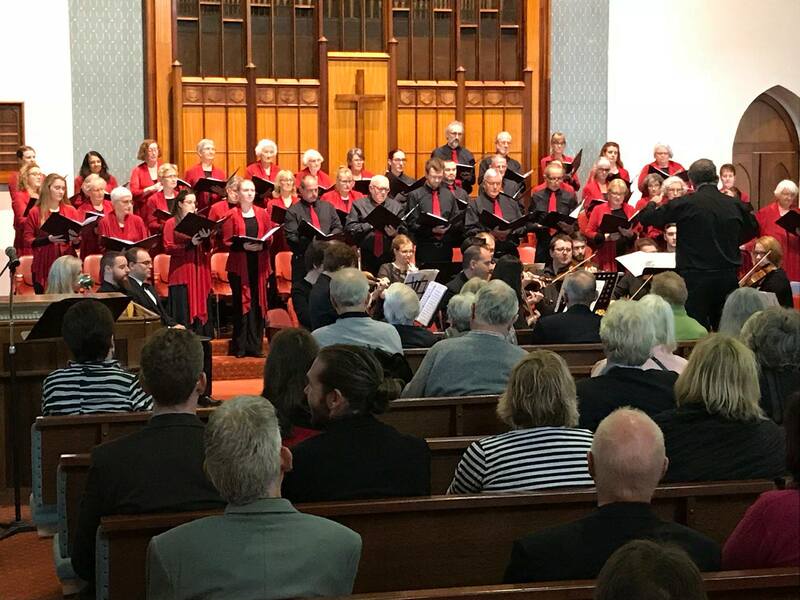 But after that, the Chorale and guests delivered a 30-minute oratorio that had all the required delicacy, strength and power to exactly illustrate their conductor’s words – one that would have certainly brought the glory of God to its 18th Century congregation. 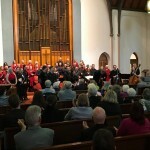 The 10 segments ranged from muted intricacy – Virgam virtuosi delivered by alto Colm Talbut accompanied by organ, cello and bass, while Tecum principium had Lee Abrahmsen’s (literally) glorious soprano voice soaring over chorale and orchestra to swirl around the rafters of the acoustically and visually suitable venue. 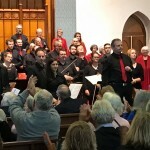 There were moments of rare musical delicacy, with Ms Lee Abrahmsen, duetting with fellow-soprano Emily Swanson; and of robust vigour, with the male chorale and soloists combining to bring De torrente in via to sturdy life. And it all climaxed in glorious splendour drawing that first burst of sustained applause quietened by the first conductor’s gesture. 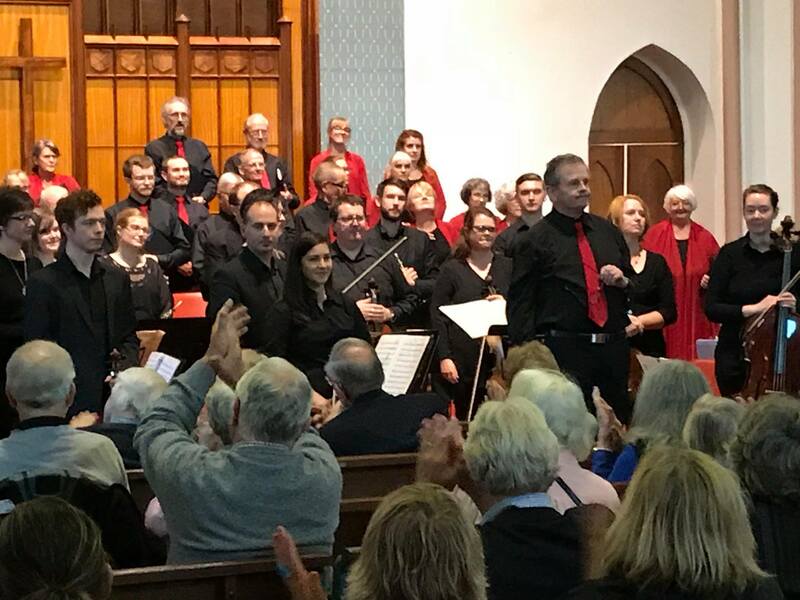 Following a short interval, Chorale and guests presented Handel’s Coronation Anthems, written in 1727 and performed at every British coronation since, Allister’s introduction informed. This was fascinating on several levels, not the least because it drew into perspective the Germanic elements of British Royalty, for the work’s commissioner, George I, its original recipient, George II and its creator were all German-born. The works also illustrated not only Handel’s musical maturation, but also his differences in interpreting the words of God to the glory of a monarch. 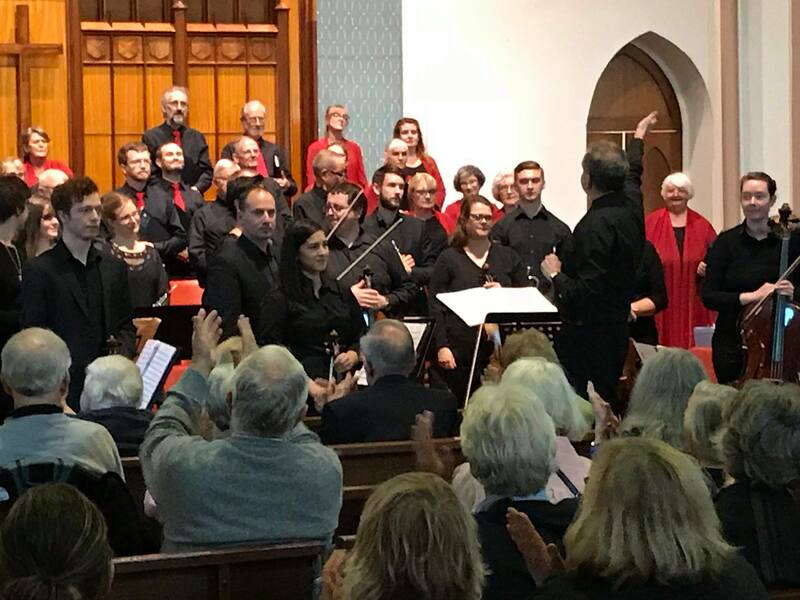 The Coronation Anthems were all bright, triumphant and illustrious, beginning with the magnificent Zadok the Priest, delivered with equal amounts of finesse and vigour by the Chorale and its orchestra augmented by trumpets, oboes and timpani. 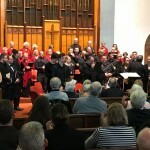 The anthems oratorio brought larger prominence to soloist tenor Terence MacManus and baritone William Humphreys, whose discreet trips between his regular central position in the Chorale to take his place with the other soloists became a charming feature. 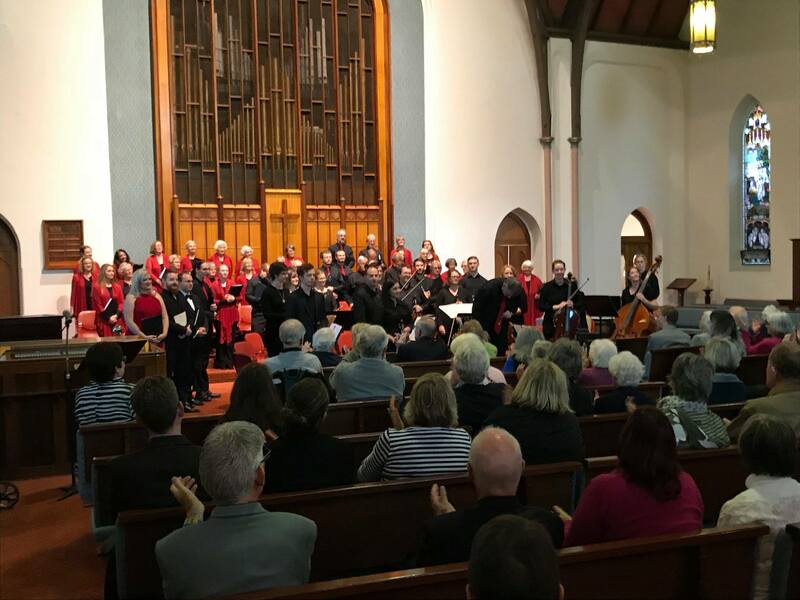 But above all its component parts, this concert’s memorable element was the quality of its music and it’s professional delivery. 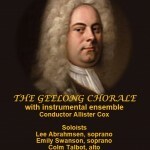 All together, this elegant concert would have significantly enhanced the reputation of our principal choral ensemble. And that has to be the perfect result to a near-perfect musical afternoon.